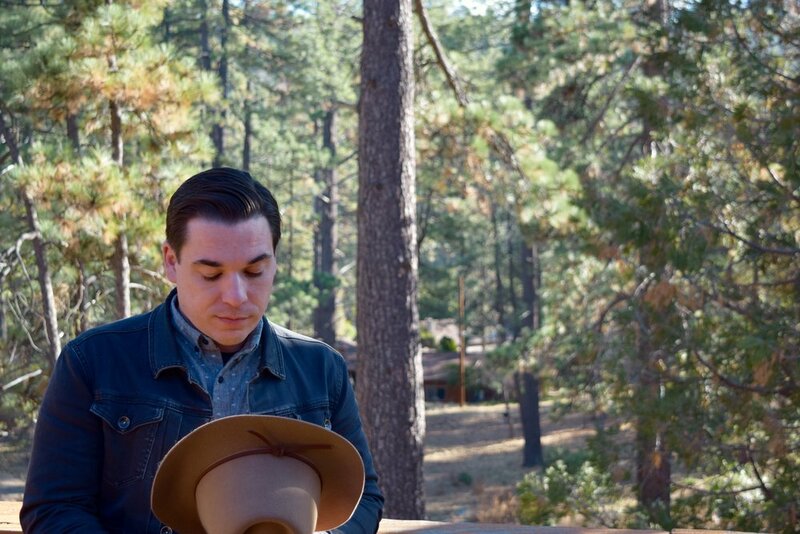 Listen: William Russell Wallace - "San Jacinto"
Hailing from Idyllwild, California, William Russell Wallace is a man innately indebted to the bits of darkness and light strewn throughout his life. His is a story of paranoia, revelation and redemption – which would make a perfect fiction except for the fact that Wallace lived through all these things. Before settling into his current solo work, he spent time with bands like The Wading Girl and Billy Wallace and the Virginia Blues, outlets which produced several albums and EPS. And it was during this time that his life began to spiral out of control, leading to feelings of intense anxiety and distrust. This all ended on a stretch of highway outside of New Mexico when he crashed his car that was loaded with 50 pounds of weed in the trunk. Needless to say, this experience led to some serious self-realizations, and he decided to quit the road to focus on his writing. A pastime which has proved to be quite successful, as he was the recipient of the 2018 Yemassee Fiction prize and has had work appear in publications such as Carve Magazine and Carte Blanche. With the release of his latest record, “Dirty Soul,” which is due out April 8, he hopes to finally put those old personalities to rest and discover the joy of just being William Russell Wallace. Filled with an inimitable honesty about the dangers of a life lived in the shadows, it chronicles a history of questionable decisions and the consequences that those choices have everyone within his personal trajectory. As if to emphasis this point, most of the record was tracked in a bathroom at a Florida rehab center after that fateful accident outside New Mexico. On recent single, “San Jacinto,” Wallace delves into a long tradition of folk storytellers, weaving a mesmerizing tale of sincerity and intimacy set within the confines of a personal confession. The track opens with acoustic guitar and a shivering harmonica, allowing the ragged melancholy of his words to work its way through your bones. Stripped down and skeletal, both in form and emotion, the song reveals a man yearning for happiness and acknowledging those things which have kept him form it – while at the same time embracing both the highs and lows of a life shaped by unpredictable internal and external forces.